Do you know that song about new shoes? The lyrics are "I put some new shoes on and suddenly everything is right." I LOVE that song. Because it's me. I seriously adore shoes. And if I am feeling bad, mad, sad, really any of the -ads, I put some of my favorite shoes on, especially my cheetah ones, and it transforms my mood. I'll also slap on a cute pair when I am needing some inspiration. I don't know what it is about footwear that can get me going in the right direction again, but it literally starts from the ground up! A little while ago I decided I needed to organize my shoe collection, so I yanked all of them out of my closet and piled them in the living room. 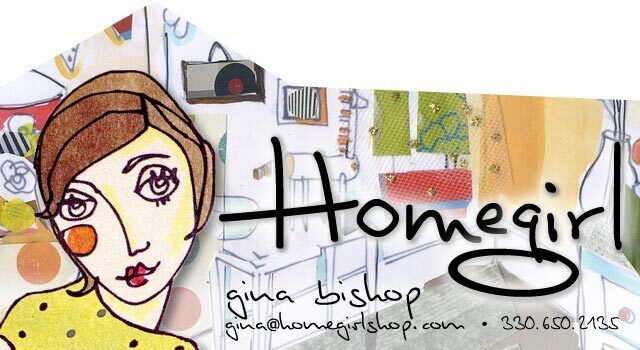 Nothing makes me happier than these pictures - it's my shoe-topia! This one makes me laugh - it's like Where's Waldo. Can you find our sweet kitty? She's hiding in there. My girls love my shoes, too. They are always trying them on and I know it won't be long before they are borrowing them on a regular basis. 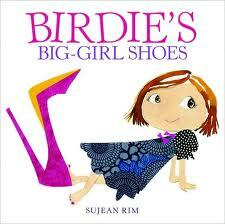 A really cute book we love is called Birdie's Big Girl Shoes by Sujean Rim. It's about a little girl who can't wait to be just like her mom, especially when it comes to wearing "big girl" beautiful shoes. I guess I am lucky that sometimes all it takes is some cute footwear to change my attitude. It's been a while since I got a new pair... 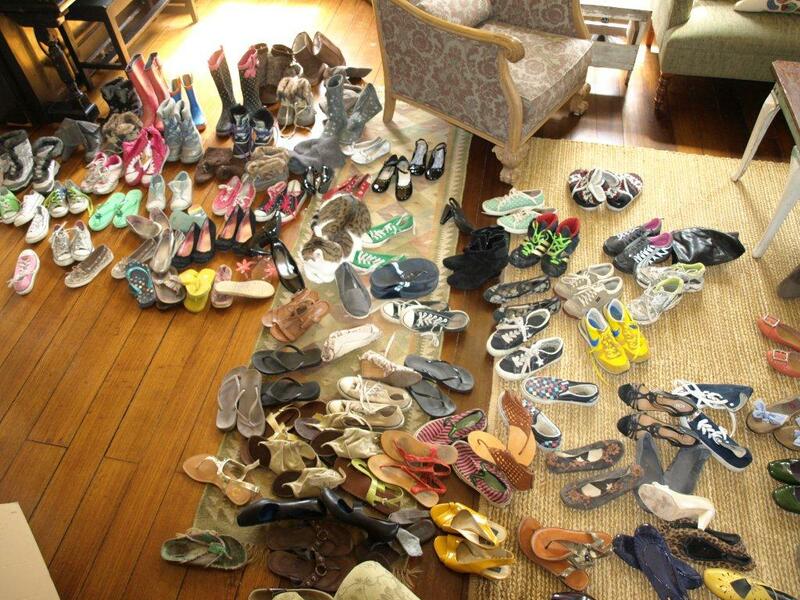 I think a little online shoe shopping is in order tonight!